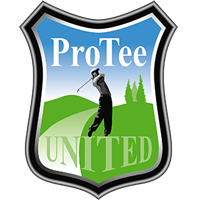 The ProTee Golf Interface stops working after a couple of shots and/or during a game. When stopped the RESET LOOP on the main interface screen stopped running. The interface can not find the data stream from the Sensor Systems. 1] Make sure the USB to Serial adapter is plugged into a USB 2.0 port. These ports are usually marked yellow. 3] Windows Plug and Play system might detect the ProTee Sensor System as a Serial Mouse, installs a Serial Mouse Driver for it which will block the communication port. Use the "NoSerialMouse" utility from the ProTee DVD to fix the Serial Mouse detection on ALL ports. When fixed, reboot the computer. <PROTEE DVD>\Utilities\Tools\NoSerialMouse.exe (run this utility as Administrator, by right clicking the file and select Run As Administrator). 4] Check the computer hardware for Serial Mice in the Windows Device Manager. When found, DISABLE these. Do not uninstall, otherwise Windows might reinstall it again. 5] Make sure you use the Prolific USB-to-Serial driver version 3.3.11.152. This driver can be found on the ProTee DVD. After installation make sure the Prolific device is actually using this driver and not an updated or older version. Open Ports. Right click the Prolific USB adapter, select Properties->Driver. 6] Check and adjust the Windows Power Scheme. The default scheme is allowed to shutdown the USB ports to save power. This scheme is also allowed to shutdown the harddrive. Make sure the WIndows Power Scheme is not allowed to do that. Run the Windows Control Panel, select System and Maintenance->Power Options. Change the advanced plan settings for the USB and Harddrive. 7] Do not use any Virus Scanners like Norton or McAfee. These scanners are know to monitor the serial port data stream from the Sensor Systems. When the stream can not be identified, the Virus Scanner will block the serial ports and the Sensor Systems will stop working. Antivirus software from ESET.COM has been tested and can be used if a Virus Scanner on the system is needed.